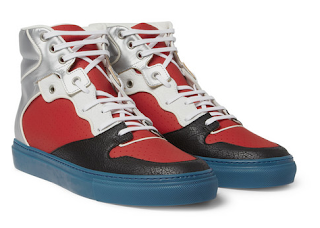 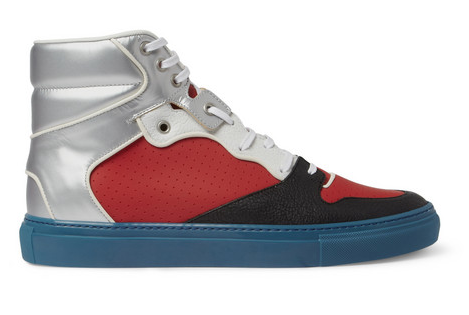 Primaries are given the luxury athletic jolt with one of Balenciaga's latest high-tops. 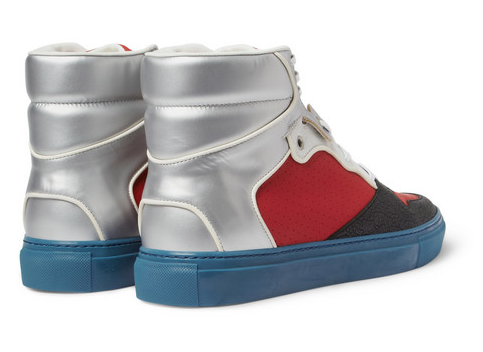 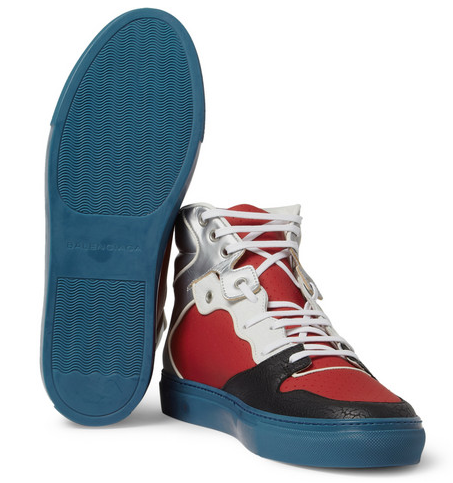 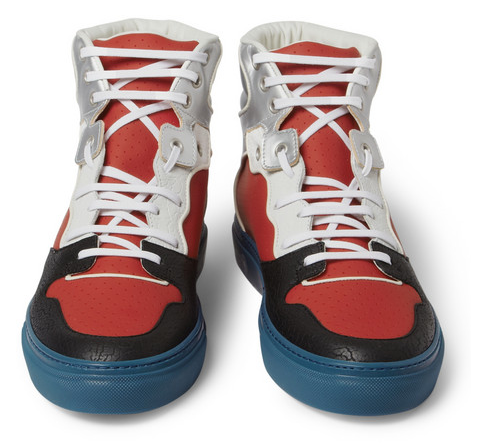 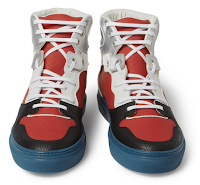 The company's Panelled High-Top Sneakers are a walk through the basic primaries of red and blue and the clean neutrals of black, white and metallic silver blocked out to make up an attractive wearable shoe. 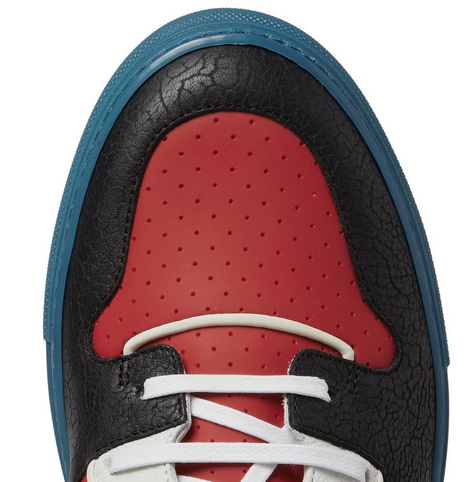 The combinations of textured leather, perforated leather and slick fabric make this shoe as texturally appealing as it is visually appealing. Available now at Mr.Porter.com.